One of the most important ways we have to combat a terrible illness like Ebola is through education. 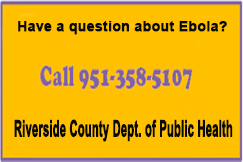 It’s vital that we provide science-based details about how the illness is spread , as well as updates on what health officials are doing to protect the health of residents of Riverside County. This webpage was created to provide you with information about our preparedness activities and the latest news and updates about the illness and related issues from reputable sources like the Centers for Disease Control and Prevention (CDC). 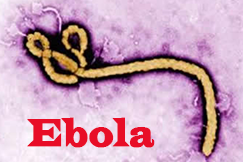 Older items have been moved to the Ebola Archive page.